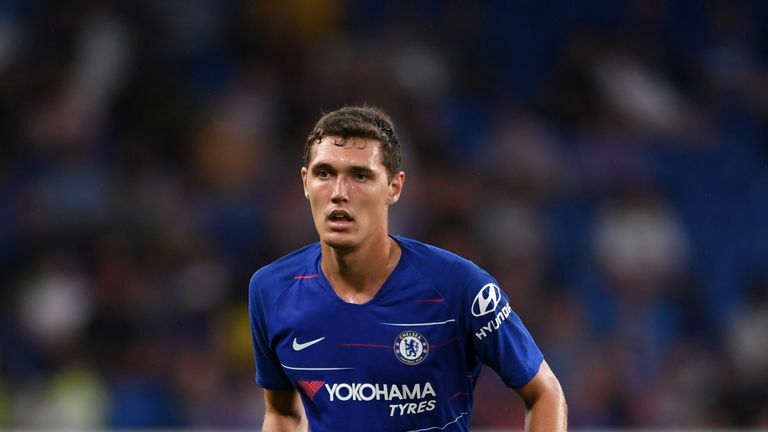 Chelsea defender Andreas Christensen will ask to leave the club in January if he is not playing regular football by Christmas. The 22-year-old is yet to make a Premier League appearance this season, with Maurizio Sarri only utilising him in both of Chelsea's Europa League outings and their Carabao Cup win over Liverpool. Christensen made 40 appearances for the Stamford Bridge side last season after two successful seasons on loan at Borussia Monchengladbach. However, he has found himself behind Antonio Rudiger and David Luiz this term. In an interview with TV3 Sport Denmark, his father and agent, Sten, said Sarri had told Christensen, who had a break in the summer after playing at the World Cup for Denmark, that Rudiger and Luiz would be his preferred pairing at the back. Sten believes it may be time for his son to move on permanently if his situation does not change. "I'm not thinking another loan. It's Chelsea or else he has to find another club. A loan spell would not be the best solution for Andreas. It's one or the other. Too many of Chelsea's players go out on loan when they don't need them. Andreas should not get stuck in that. "I believe that we will try to relocate Andreas come winter, if nothing has happened by Christmas, if he is not playing. "But I'm not sure Chelsea will let him go. That is maybe not a problem as Chelsea are a fantastic club and Andreas loves London. But he is not happy with his situation on the pitch." Sten said his son could return to the Bundesliga or move to La Liga if he leaves Chelsea and revealed there is plenty of interest in the central defender. "For Andreas, when it comes to places he could play, Germany would suit him well, as would Spain," he said. "Those could be two countries that we would look at. But Andreas is not cheap, and not many clubs could afford him. That is a limitation. "I will not name any clubs, but I will mention that there is a lot of interest regarding him. The telephone is ringing off the hook so he has a lot of options going forward." Christensen made four appearances as Denmark reached the last 16 of the World Cup in the summer.